Pollen is ubiquitous: In childhood we all learn a little about plant reproduction and the role of the bee, but few of us are aware of the astonishing diversity of the structure of pollen grains, although these tiny, extraordinary forms have fascinated the scientifically curious since the seventeenth century. These grains are enclosed beyond the accessible beauty of the flower until the moment of release, when they are carried by wind, water, or animal vectors to achieve their purpose, which is procreation. 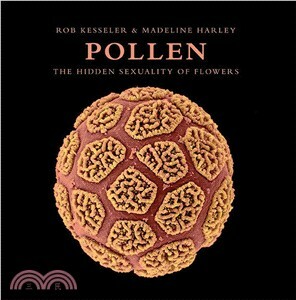 Starting with a clear explanation of the structure and form of pollen, the authors go on to examine the remarkable events from pollination to fertilization, and the many unseen ways in which pollen impacts our lives. All of this is interwoven with a dazzling array of original images by the authors, created especially for the book. Pollen is a unique interpretation of a magical world that no other book on the subject has ever been able to achieve.